Good friends is a positive energy. A bestie will always encircle your life with optimistic thoughts and laughter. Once in a while, show your friend that he/she is the reason why are having the happiest life most of the time. 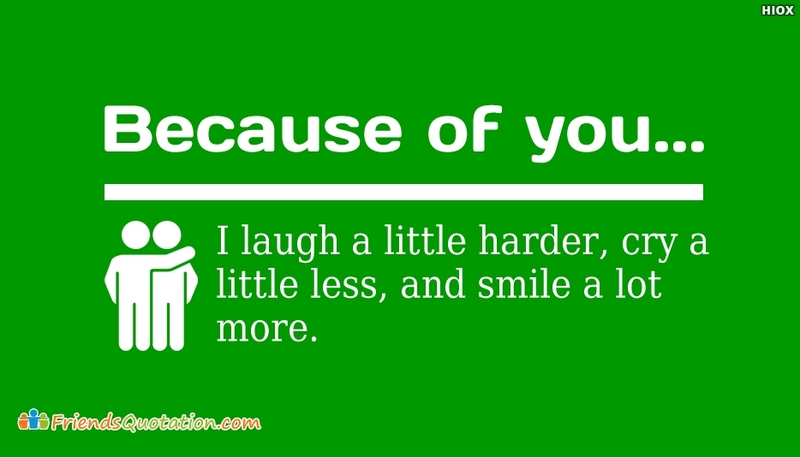 Free download and share this quote "Because Of You, I Laugh A Little Harder, Cry A Little Less, and Smile A Lot More" through any social media.